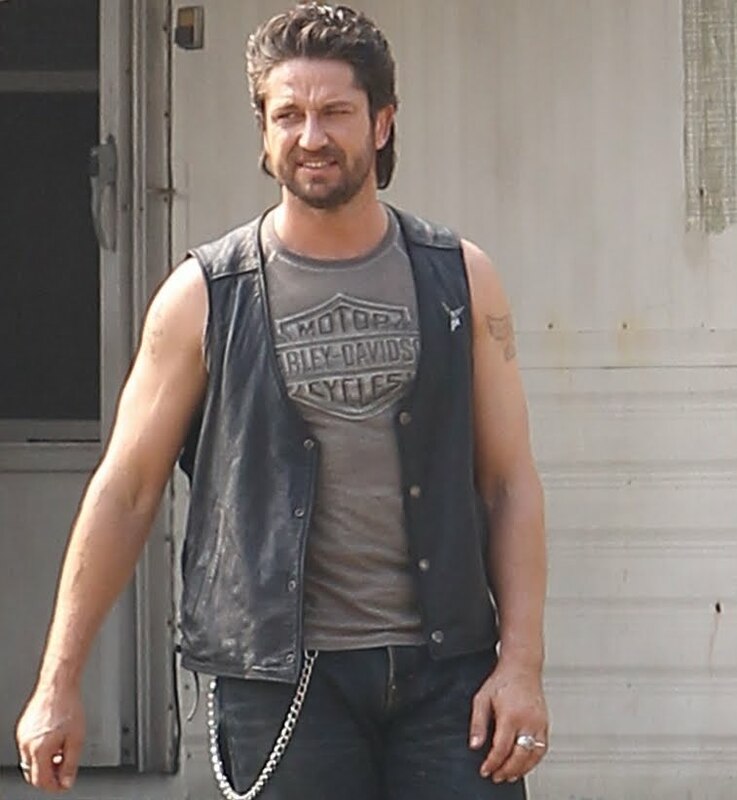 The movie Machine Gun Preacher: trailer, clips, photos, soundtrack, news and much more! 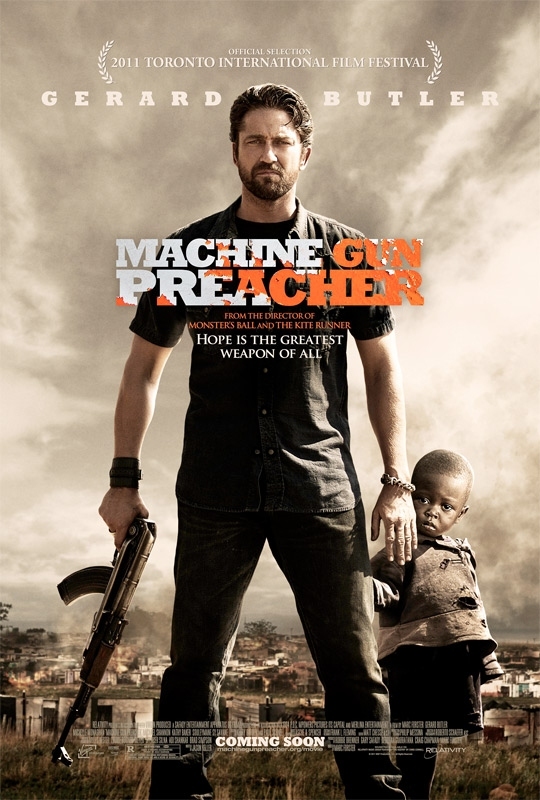 Machine Gun Preacher – I love you too Dad. Machine Gun Preacher – God gave you a purpose. 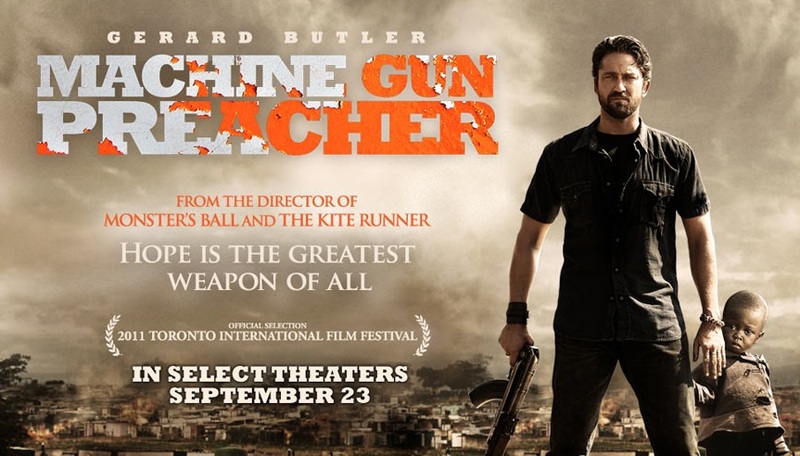 Machine Gun Preacher – No cheating! 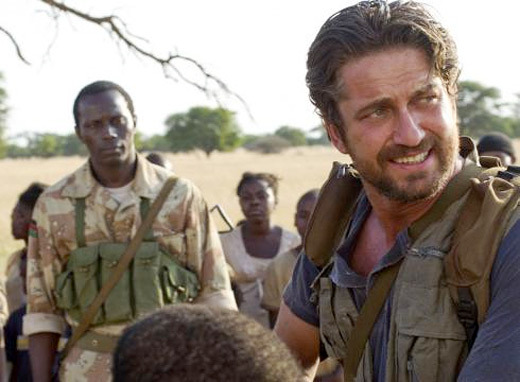 The film is starring Gerard Butler in the lead role. 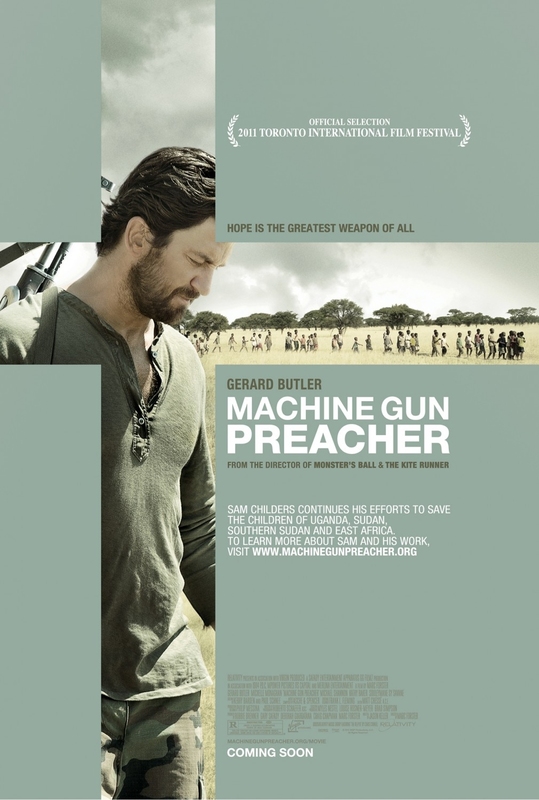 The Machine Gun Preacher will be released in theaters on September 23, 2011. Hope is the greatest weapon of all.The story follows Sam Childers, a former drug-dealing biker tough guy who finds God and becomes a crusader for hundreds of Sudanese children who’ve been forced to become soldiers. The story revolves focuses on Sam Childers, a former drug-dealing biker tough guy who found God and became a crusader for hundreds of Sudanese children who’ve been forced to become soldiers. The true story of Sam Childers is quite inspiring, I definitely want to watch the movie Machine Gun Preacher when it comes out in theaters!